This debut 45 from California's Fuller Brothers (Erskin and Major Fuller) is one of the most fully realized debut recordings I've ever heard. Delivered with pure soul and a restrained confidence, the brothers deliver a sublime, pure harmony vocal that gives me shivers and a big lump at the back of my throat. This is the type of record that exists in that upper echelon- a place where music simply does not get any better. The Cryan' Shames (not to be confused with the English Cryin' Shames) hailed from the affluent Chicago suburb of Hinsdale. The group was heavily influenced by the British Invasion, and their biggest national hit was a cover of the Searchers "Sugar And Spice"; a record which landed them a contract with Columbia Records. While this group was far too sophisticated to be labelled as a 'garage band', a whole lot of their music had that kind of energy and drive (just listen to the propulsive drums and distorted 12 string electric guitar heard here). The groups' second LP, A Scratch In The Sky, is a minor masterpiece and found them taking a more ethereal direction undoubtedly influenced by the work of The Beatles Revolver, Brian Wilson c1966 and The Byrds (and contains this track as well). A strong Revolver influence is felt on this track, which is easily one of my favorite American records of the era. 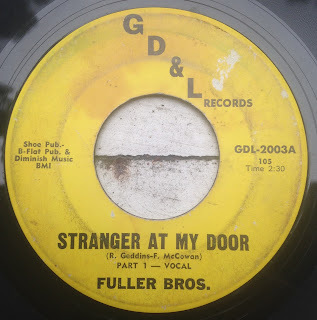 In fact, it was one of the very first 45's of the day, at the dawn of this blog TEN years ago. "The Sailing Ship", with its melodic lift underlined by melancholy darkness is a masterpiece in every way- a brilliant song, fantastic vocals, and those DRUMS. This song was brilliantly adapted by The Brian Jonestown Massacre as "Sailor" in 2001. I could listen to either version a dozen times in a row and still wanna hear it again.